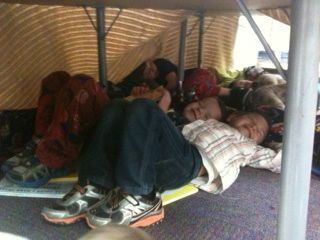 Our Head Start friends have been studying hibernation and the special animals who hibernate. 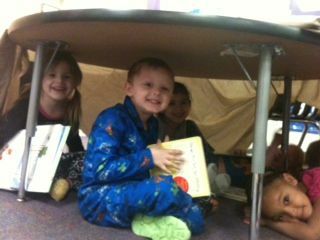 As a culminating activity today, they enJOYed a hibernation experience themselves by wearing their pajamas to school, cooking and eating special snacks, and then doing their own version of hibernation with a “long winter’s nap” (shared one little friend). 🙂 They also shared their special knowledge about a little hibernating friend in Pennsylvania who plans to make an appearance on Sunday to check out the weather for everyone…here’s hoping we get some good news that spring is on its way soon! Have a safe, relaxing weekend! This entry was posted in Personal Reflections and tagged hibernation, winter. Bookmark the permalink.